The 2019 John McGrath Auto Group Black Opal Stakes is just one of Thoroughbred Parks premier events, and no doubt this year will be a race to remember. We are already counting down until the next long weekend because Sunday 10 March will see the first race of Autumn. It has all the ingredients to amount to one of the best events of the year. Choose from dining packages in the Silk Room, or watch the race with the cheering crowds. 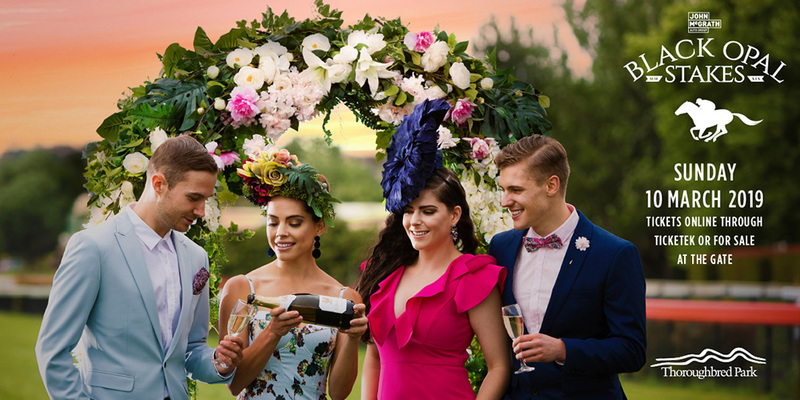 Take a minute to plan your racewear and you could be crowned the Canberra Outlet Fashions on the Field Winner. Parking: $5 to parking attendants from Rotary who will donate the parking fee to a charity of their choice. For more information and ticketing, visit their website.